"Good Time Hard Rock Is Back In Town!!!" Fully formed in mid-2011, Stone Trigger began in 2009 when guitarist Zemmy set his sights on making his very own rock n' roll band. Bass player Richie and fellow guitarist Jay (Jimmy Lightning) joined Zemmy in the rehearsal studios, where the trio jammed relentlessly while searching for a drummer and a singer/front-man. In Spring of 2011, former "Thunderstruck" drummer, Niall McDermott, made contact with the band and after a couple of jams, this Dublin-based trio had the hard hitting drummer they'd been looking for. After several auditions for a vocalist it wasn't too long before word on the street had it there was a lead singer and well-experienced front-man who fit the bill perfectly, and was available. Well known on the Dublin hard rock circuit, Tommy Röckit called down to the rehearsal room, after a well sold chat with Richie. It couldn't have worked out better for both parties - quality from percussion to strings to vocals and melodies. The guys had a string of riffs and songs and on the very first rehearsal the anthem "Never Say Never" was born. Things continued to move thick and fast for the five Dubliners and a full set wasn't long coming together. They made their stage debut to a packed out "Fibbers Rock Bar" that August and hit the road playing every major hard rock venue in Dublin and even a roof raising show across the water in Camden Town's "The Dublin Castle" in London - and 2011 wasn't even over! 2012 brought the band's debut E.P. "Set In Stone", recorded in the renowned Trackmix Studios in Dublin and produced by Michael Richards. The 4-track E.P. reflects different aspects of the band: "Gotta Get It On" brings a hard hitting catchy number with plenty of balls. 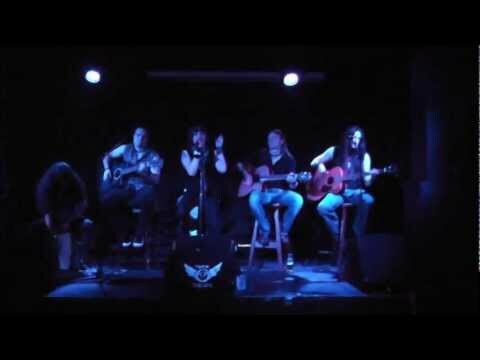 "Seven Deadly Sins", an epic song about aspiring to be greater - "Cry On", a power-ballad inspired by love and heartache, compared in greatness by Radio Nova's own John Bowe to Poison's "Every Rose". The E.P. finishes with "Maneater" - This bass-driven foot-tapping hard-hitting anthem is always a crowd-pleaser. The launch was at Fibbers Rock Bar on Ormond Quay to a sold out audience! The 2-hour concert, filled with smoke machines, a light show and even confetti cannons, fulfilled the bands promise of a stadium rock show in a bar! 2012 also brought the band a Hot Press interview, an interview on Radio Nova, a glowing review of the band and new E.P. by Roisin Dwyer of Hot Press on Nova. Tommy: "We've played in every bar in town, London, biker rallies, live on the radio, man... we've even performed with half of Whitesnake last year" The sky is the limit at the moment - We have a band here! A real band who can play, perform and we're all on top of our game - it's exciting stuff!!!" 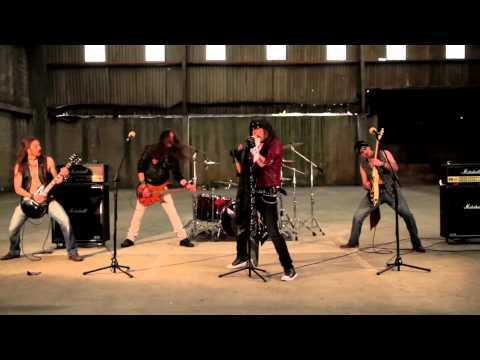 Influenced by Bon Jovi, Def Leppard, Skid Row, GN'R and Whitesnake to name just a few, Stone Trigger are definitely emulating their idols in every way! 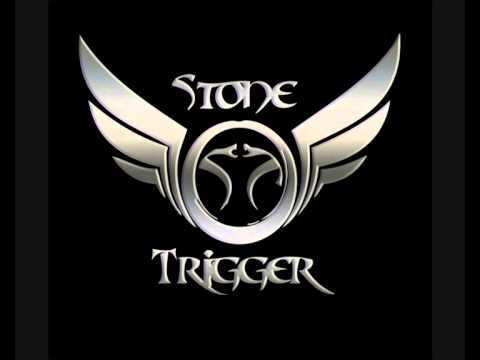 Stay tuned for all news that is Stone Trigger!